Great location great staff what more could you ask for? I’ve been here about three years now and I’ve been very happy - great neighbors who became friends! We have only been living here for a couple weeks, and we are happy with it so far! The apartment is a little on the older side, but it's nice, clean, and everyone is super friendly! friendly staff, quick response time on any inquiries, everything is straight forward, clean and convenient. I have ran into issue dealing with other complexes but none here so far. Nice quiet place to live. Also very close to shopping and entertainment. The only problem I have had was with the stove and it was fixed immediately. Very good service and the ladies in the office are great. Always friendly. Great first experience with Julia and the wildwood staff. Really peaceful area and maintenance staff are always prompt. I enjoy living at wildwood. The staff are very understanding and considerate to the needs of the residents. Love it staff are very friendly if things are hard for you they will work with you no matter your situation. 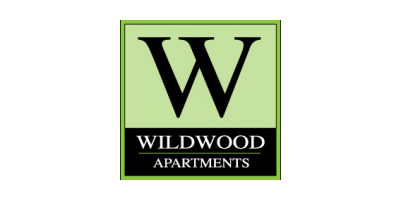 Here at Wildwood apartment our residents do be in your business like other places. Wildwood has been a great experience so far. The complex is quiet and peaceful, and the move-in process was smooth and seamless. I am still waiting for a minor fix to be made to my apartment, but I am sure that it will be remedied soon. Wildwood's staff are friendly and helpful. I am so happy in my new apartment and look forward to being a resident of Wildwood for a long time. So far, so good! I love the location. There are a few laundry machines that are out of order. But I like the unit. I'm still trying to get settled in though. The staff that I have interacted with so far have been fantastic. Very awesome staff. Any maintenance needed get taken care of in a very timely manner and I’ve lived here since summer 2013 and this has been the best team since I’ve lived here. I love my spacious 1 bedroom apartment its very quiet friendly people. Ive only been here a month and it already feels like home it is s wonderful place to live. The staff here is extremely nice and attentive. Apartments are clean and the neighborhood is quiet. Some parts of the apartment are outdated but over all I’ve had a good experience so far. Appliances and fixtures are a little too outdated, but everyone is nice and it’s a really neat complex with a lot of ammeneties. I changed my toilet seat and everything was completely yellow and gross. The staff here is over the top! Any concerns are addressed promptly! The upgrades recently done to the community are noticed Ladies! Nice work! The only reason this is 4 stars instead of 5 is because I have to consider my initial experience which was a little challenging. At first I had trouble being in contact to sort out and secure my place before moving and felt my communication was being misconstrued and that staff maybe didn't want to deal with me. It turns out there was just a little chaos because the clubhouse was under construction and staff was moved elsewhere. Now that I'm settled in I, so far, love this residency. The office team is very friendly and helpful. Also, the new clubhouse is beautiful! I can't wait to use the pool when it gets a little warmer. The apartment is the perfect size for me and the sunshine coming in through the slider doors/ large window makes it cozy and homelike. All of my concerns are addressed in a really positive way. There are a few bumps and scratches here and there but I really couldn't care less personally. So far only a few minor maintenance issues but staff addresses them. The location is very safe and nice, also there are parks nearby and Wildwood is only about 20 minutes from the city part of uptown. I foresee myself settling in here for a while. I've only been at Wildwood for a little over a month and have LOVED it! The location is perfect, its quiet and quaint, the staff is friendly and engaging. I'm happy to be living at Wildwood! Such a great place to live! I love living here and so does my new puppy. Great community for pets. I’ve been here almost 5 years and I love it. We love it here! The apartments are well maintained and reasonably priced. Also, the staff are incredibly nice and helpful. We’ve had a great experience so far! Nice and quiet place! Maintenance has always been easy to schedule. And the ladies in the office are awesome! I would definitely recommend this community to others. I'm impressed with what wildhood has to offer and completely satisfied. Safe area, friendly staff, and phenomenal maintenance team. I highly reccomend. Maintenance is always on top of stuff. The ladies in the office are awesome. The location is awesome! It’s going through a lot of changes, but for the good! Our transfer from our 1 bedroom, to our 2 bedroom apartment was a very easy transition. Very quiet and not far uptown. great team here. Thank you goes out to the staff.